Following a well received CES 2012 unveiling, Logic3 has officially launched its first range of high-end headphones in collaboration with iconic sports car giant Ferrari. Comprising two separate collections, the Scuderia Ferrari Collection and the Ferrari Cavallino Collection, the Logic3 Ferrari range features a selection of in-ear and over-ear headphones that are branded with the Scuderia Ferrari F1 logo as well as others styled in the memory of the company's timeless GT road car classics. Made up of four pairs of in-ear buds and two pairs of on-ear cans, the Logic3 Scuderia Ferrari Collection is headlined by the P200, an oversized pair of on-ear headphones that have been designed as a tribute to the ear protectors worn by the Ferrari team around the world in the Formula 1 paddock. Available in red or black, the Logic3 Ferrari P200 features a carbon fibre styled finish with 50mm drivers and a vented enclosure offering deep, well-rounded bass filled tones. The P200s are on sale now priced £199. Joining the P200 line, the Scuderia Ferrari Collection also features the over-ear R200, priced £199, and the in-ear R100 and S100 priced £119 and £99 respectively. Both pairs of TFAT noise isolating in-ear headphones come as an optional 'i' model that sports an in-line mic. Pairing premium audio with high-end styling, the Logic3 Ferrari Cavallino Collection is headlined by the stunning T250 on-ear headphones that combine plush leather ear cups with brushed metal arms for a design that arcs back to the Italian car company's most classic vehicles. Playing host to high efficiency 40mm drivers, the closed back ensures against noise leakage and infiltrating background sounds whilst a 2-way folding design aids compact storage and easy portability with the provided carry case. With a three button in-line control system, the Logid3 Ferrari T250 will set wannabe owners back £229. Other items in the Cavallino line include the equally luxurious and leather wrapped noise isolating T150 and T150i in-ear headphones which will set you back £149, as well as the similarly specced G150 and G150i models priced £129. What do you make of the Logic3 Ferrari Collections? 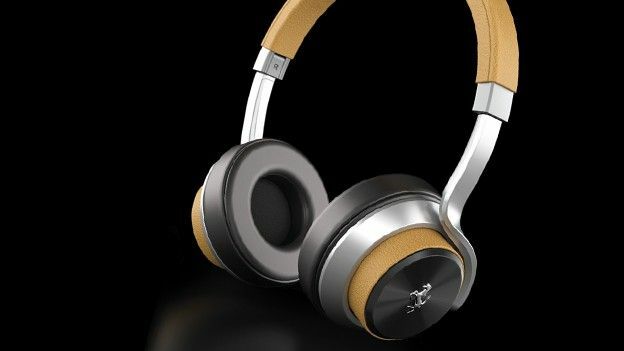 Do they have you tempted to splash out on some high-end sports car branded headphones? Let us know via the T3 Twitter and Facebook feeds and check out the full collection at Ferrari by Logic3.